Q: Can programs be developed without an interface (for data transfer) with external systems? A: Import and export can be done between relational databases and text files. Field mapping can be used to easily program the handling of import and export fields (see diagram below). Data can be filtered or converted during the import or export of necessary fields (field mapping). 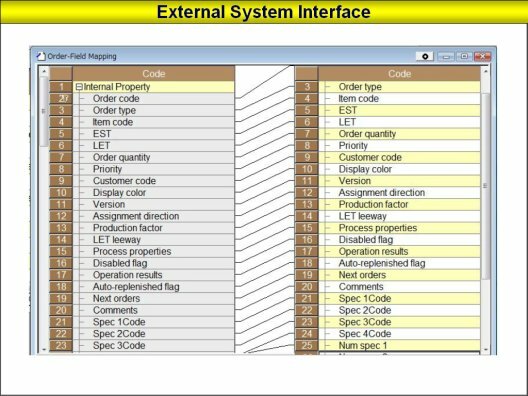 These functions allow interfacing with external systems without custom program development.